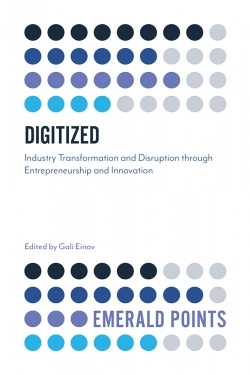 Advances in Entrepreneurship, Firm Emergence and Growth provides an annual examination of the major current research in the field of entrepreneurship, including firm emergence and growth research. 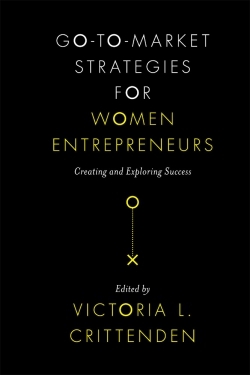 The Advances series also publishes papers from fields such as strategy or sociology that use entrepreneurial examples. 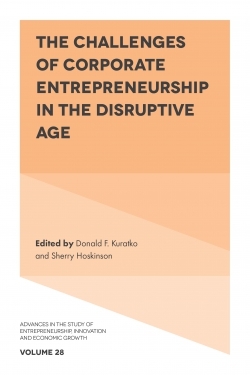 It is a key source of articles of record for major concepts in the discipline of entrepreneurship. 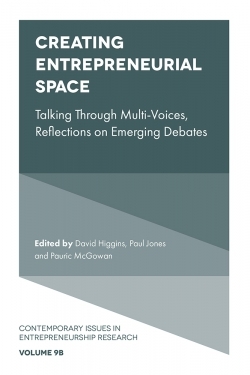 Volume 16 considers the central issue of academic entrepreneurship: the factors and concepts that underpin the fostering of university based entrepreneurial ventures. 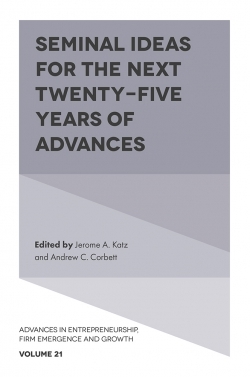 Specifically, it contains research on the consequences of university technology transfer, with a strong emphasis on the entrepreneurial dimension of this activity. 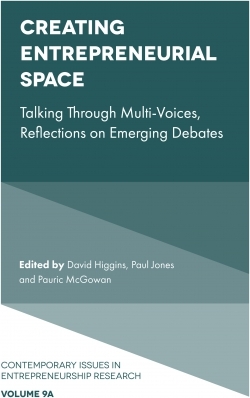 The theoretical and empirical manuscripts in this volume consider all aspects of how university stakeholders create, incubate, and accelerate ventures. Academic Entrepreneurship: A Stage Based Model. Beyond Tech Transfer: A More Comprehensive Approach to Measuring the Entrepreneurial University. Academic Entrepreneurship: Exploring Resistive Tension. Creating a Dynamic Campus–Community Entrepreneurial Ecosystem: Key Characteristics of Success. University Technology Transfer in China: How Effective are National Centers?. University Knowledge Spillovers and regional start-up rates: supply and Demand-Side Factors. Categorization and Analysis of Academic Patents: Developing a Framework to Examine Differences in Technology, Opportunity, and Commercialization Characteristics. The Contributions and Disconnections Between Writing a Business Plan and The Start-up Process for Incubator Technology Entrepreneurs. Introduction. 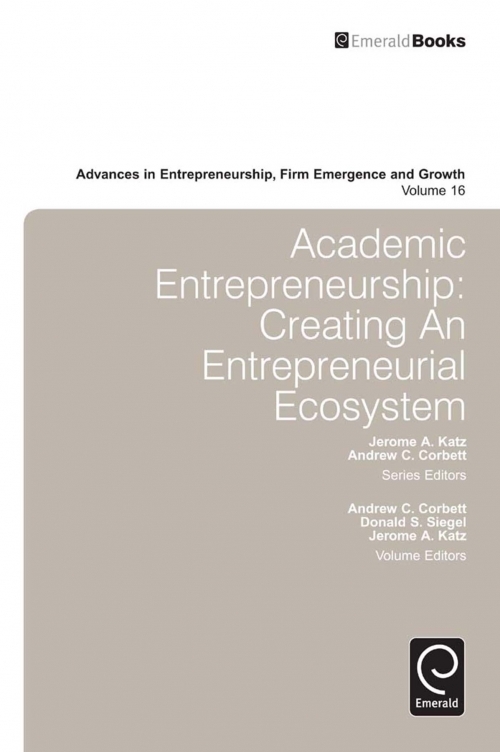 Academic Entrepreneurship: Creating an Entrepreneurial Ecosystem. 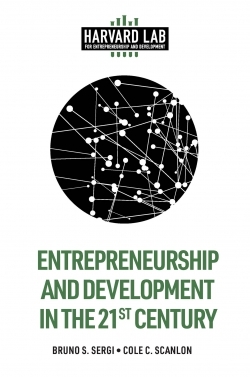 Advances in entrepreneurship, firm emergence and growth. Academic Entrepreneurship: Creating an Entrepreneurial Ecosystem. Copyright page. List of Contributors. Academic Entrepreneurship: A Stage Based Model. Beyond Tech Transfer: A More Comprehensive Approach to Measuring the Entrepreneurial University. Academic Entrepreneurship: Exploring Resistive Tension. Creating a Dynamic Campus–Community Entrepreneurial Ecosystem: Key Characteristics of Success. University Technology Transfer in China: How Effective are National Centers?. University Knowledge Spillovers and regional start-up rates: supply and Demand-Side Factors. Categorization and Analysis of Academic Patents: Developing a Framework to Examine Differences in Technology, Opportunity, and Commercialization Characteristics. The Contributions and Disconnections Between Writing a Business Plan and The Start-up Process for Incubator Technology Entrepreneurs. Introduction. 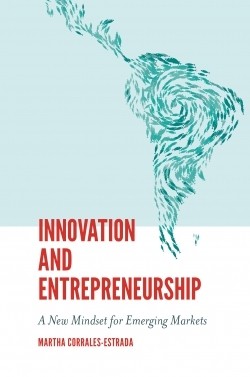 Academic Entrepreneurship: Creating an Entrepreneurial Ecosystem. 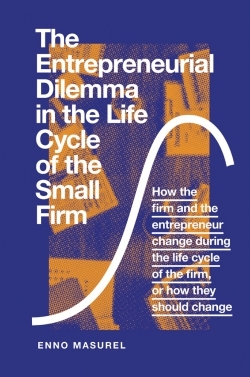 Advances in entrepreneurship, firm emergence and growth. 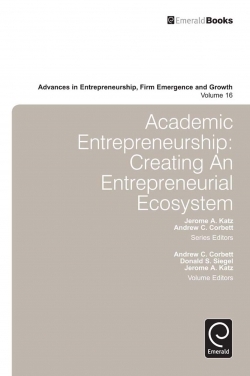 Academic Entrepreneurship: Creating an Entrepreneurial Ecosystem. Copyright page. List of Contributors.